Applause erupts from 300 people sitting inside the Lincoln Center in Spokane. As PowerPoint presentations go, this one is explosive. "This development will be as transformational as your [Expo] 1974 development. It will be as transformational as what you've done just recently within your downtown," consultant Paul Umbach tells the crowd. It's 2010, and Umbach is describing the exact thing civic leaders have long sought: A full-fledged, four-year medical school square in the middle of Spokane. By 2030, Umbach predicts, such a school would help the downtown Riverpoint Campus create 9,000 new jobs. It would mean an economic impact of $1.6 billion — bigger even than Fairchild Air Force Base. Thousands of trained scientists streaming through the system: MDs, Ph.Ds, innovators, teachers and researchers, spinning off biomedical businesses, pulling in millions of research dollars. Umbach calls it "the biggest thing that's going to happen in the community in the last 50 years," if the region could only make it happen. Spokane already had a head start. Since 2008, University of Washington students have been able to take Years 1, 3 and 4 of their medical education in Spokane through a partnership with Washington State University. All the city needed now was to build a top-of-the-line med school facility and for UW to add that final second year. WSU went to work on its part, opening a new $80 million health sciences building last year, and the seats were quickly filled with UW med students. Leaders at both universities co-wrote a guest editorial calling the collaboration "a win-win — for everyone." Now, a year later, different phrases are being thrown around: "Disappointment." "Escalation." "Deeply flawed." "A no-win proposition." These Apple Cup rivals — the two most powerful educational institutions in the state — have been pulled into a fight neither wants. Seeing a huge need for more doctors and frustrated with UW, the WSU Board of Regents voted to seek their own full-fledged Spokane medical school. A study from MGT of America, released this month, found WSU was "well positioned" to do just that: They already had the building and the faculty. They'd need $1 million to $3 million to get the school started, $47 million for eventual annual operational costs but not a dime in new construction. While WSU wanted UW's medical program in Spokane to continue, UW has condemned the study and warned that WSU's ambition could destroy the UW's medical education in Spokane. The two universities have launched competing ad campaigns, websites and studies and hired their own lobbyists, even as they both call for collaboration. Spokane is caught in the middle, with leaders fretting about the worst-case scenario: That as the two universities battle over medical education in Eastern Washington, Spokane could ultimately get nothing. WSU, though, says it's not backing down. "There is no good reason to wait," WSU President Elson Floyd says in a deep, precise voice. "We've been waiting for over 100 years. It's now time to act." Former Gov. 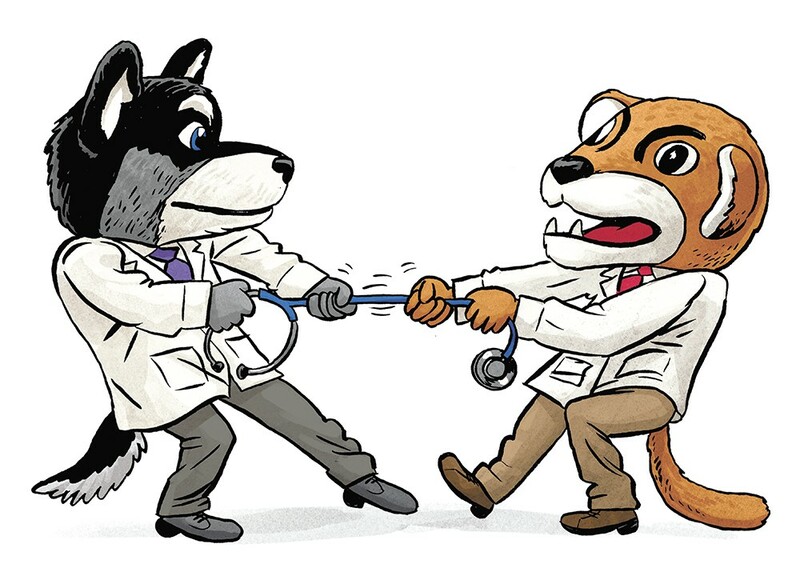 Dan Evans heads up a task force to reform UW’s medical school program. Under the chandeliers of the Spokane Club dining room, University of Washington President Michael Young stands at the podium in a Husky-purple tie. As the crowd of medical students, alumni and incoming UW undergrads dine on glazed salmon, Young gushes about UW's prestige. "You will be enrolling in the 15th best university in the world. In the world," Young says, alluding to a global ranking from Shanghai Jiao Tong University. 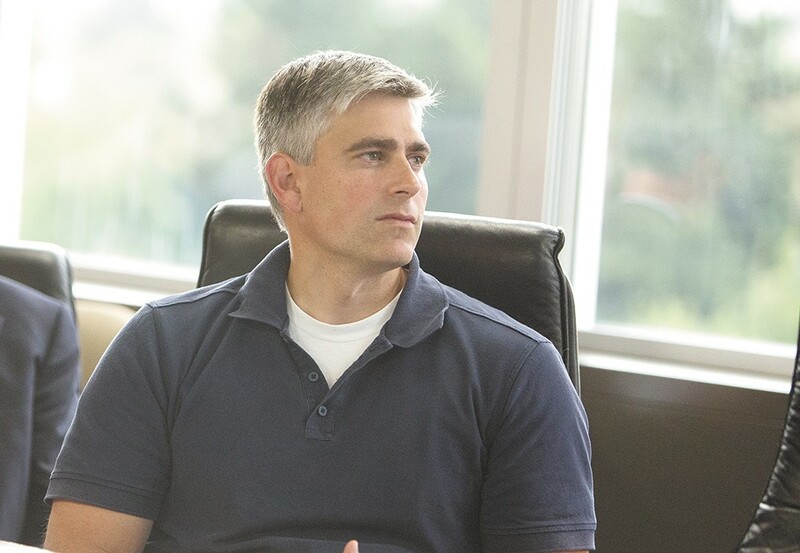 "I occasionally call up the president of Stanford and Harvard and say, 'You know, I can give you a little advice on how to be better.'" The crowd laughs. That prestige extends to the med school. U.S. News and World Report ranks it the top medical school in the nation for primary care, family medicine and rural medicine. It's in the Top 10 medical schools for research. Three Nobel Prize winners sit on the faculty. And in this state, it's the only game in town. Only five states in the nation don't have public medical schools. One's Delaware. The other four — Wyoming, Alaska, Montana, and Idaho — send their students to the University of Washington through a partnership called WWAMI (named after the initials of each state). Students take their first year in their home state, their second on UW's Seattle campus, and the third and fourth at clinical rotations throughout the Northwest. Now enters WSU, with designs for its own medical school, but can it ever hope to compete with a school like UW? WSU has a clear response: They can't. 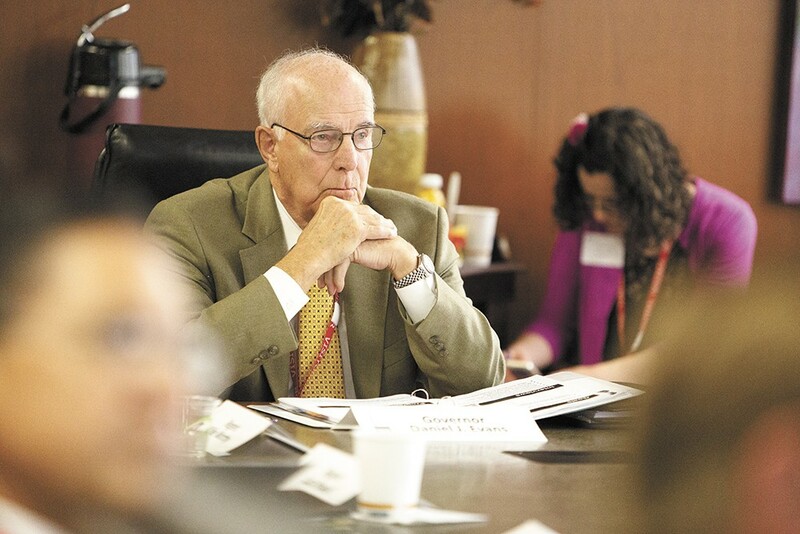 "Frankly, it is ridiculous to think that we could in any way compete [with UW] for students, resources, for applicants, for faculty, for national rankings," WSU Board of Regents Chairman Mike Worthy says. "No delusions." Instead, WSU wants to be different. It doesn't want to replace WWAMI. It wants to join it in adding to a flood of new medical graduates. "At the end of the day, our state has to do a hell of a lot more," Worthy says. Washington state — and the nation — desperately needs more doctors, especially in rural areas. "Unless we act now," warns a flyer from the American Association of Medical Colleges, "America will face a shortage of more than 90,000 doctors in 10 years." It's a combination of factors: Baby boomers are aging, and more doctors are retiring. Washington state's population of doctors is particularly old. And health care reform's wave of the newly insured bumped up shortage estimates by 50 percent. "It's predicted by 2030 our entire state is going to need 4,000 more doctors," says Elaine Couture, chief executive of Providence Health Care in Eastern Washington. "We are not producing them, and they're not staying in Eastern Washington." Washington state has nearly 7 million people, but only 120 public medicine school spots for its residents. And at least 800 Washington residents apply each year. Only three states had a lower proportion of their applicants get into an in-state medical school, the study from WSU's consultant found. State Sen. Michael Baumgartner believes the debate between UW and WSU will draw needed legislative attention to higher education. It's one reason why eight out of every 10 doctors come from out of state. "We hear from our constituents across the state about their children who want to go to medical school and can't find spots in Washington state," says Rep. Marcus Riccelli. Sarah Hershman went to Ferris High School in Spokane and the University of Washington in Seattle. She was ready to go to UW's School of Medicine and applied twice — once in 2010 and once in 2011. Both times, she was rejected. Today she's in her third year at the private Chicago Medical School at Rosalind Franklin University. The city of Chicago itself, she notes, has six medical schools and an osteopathic school. Hershman loves Rosalind Franklin, but there's a very literal price of not getting into UW. "I'll probably graduate with $260,000 in debt," Hershman predicts. If she'd been at UW, she estimates in-state tuition would have reduced her debt load to $180,000. For her, that debt means potentially delaying having kids or buying a house. And it means she's less likely to practice in Washington state. "Once you leave," Hershman says, "you're less likely to return." WSU-Spokane Chancellor Lisa Brown says she was shocked to learn how many med students the state needed. It's not just the number of doctors in the state that WSU wants to fix. It's their geographic concentration. King County has less than a third of the state's population, but nearly half its doctors. Since 1990, Marty Sackmann has been a doctor in Ritzville, a town of less than 1,700. He runs his own practice, estimating he works 70 to 80 hours a week to cover the calls. Even on vacation, he sometimes gets a call that he's needed. "When one of us gets ill or sick ... it sends a ripple through the system" of the town's doctors, he says. UW's students have seen that firsthand. Cyrus Haselman, a second-year med student, spent a month at a clinic in Tonasket, a tiny Eastern Washington town of 1,000. Last year, they only had two doctors trained in obstetrics: When the doctors weren't working, they were on call. "Family medicine doctors have to wear a couple hats," says third-year UW med student Lauren Benson. "They have to do psychology, rheumatology, physical therapy." Both UW and WSU say they want to dramatically expand the number of medical students educated in the state: UW wants to grow the size of each class in its Spokane program to at least 80 students, while WSU wants to grow it to 120 while WWAMI continues to operate. UW President Michael Young happily brags about the success of UW’s med school. "Very clearly, WWAMI is the cheapest and best way to supply medical education in the future," former Gov. Dan Evans tells the Inlander. Evans was governor back in 1971 when WWAMI was launched. Today, at 88, he's heading up a UW task force to reboot WWAMI. But no matter who expands, medical graduates will run into a logjam upstream: Before they can become doctors, they have to undertake a graduate medical residency. While nationally the number of medical school students graduating has increased significantly, the number of residency slots hasn't — leaving more students competing for limited slots. Here, too, the distribution is unequal. Of the 1,600 WWAMI residency slots in the state of Washington, a mere 100 are in the eastern half. UW simply taking more students wouldn't fix that, the consultant study predicted. Before this year, there was only a single sports medicine residency added in Eastern Washington, in 2008. And before that, it was 1987 — two years before the fall of the Berlin Wall — when the last WWAMI residencies were added. Ironically, it's been the university without a med school that's helped bring more residencies: This year, WSU, the Empire Health Foundation and Providence used a federal grant to add six more residency slots. If federal grant funding holds, they hope to add 39 more within the next five years. "This is not a new problem, in terms of our need for doctors," Couture says. "This gap is big and it's urgent and it's going to get worse." It was up to the Spokane community to raise the $2.3 million for a two-year pilot program of second-year students in Spokane. By 2013, the money had been raised and the program was underway. But that's when the relationship between WSU and UW began to fray. The biggest issue was control. "[UW] said, no, they would not allow WSU to hire second-year faculty," Floyd says. "They would hire second-year faculty." WSU also wanted more control over admissions to recruit more students. The first year, UW struggled to convince 20 students to volunteer for the pilot program. Floyd publicly blamed UW and indicated WSU's willingness to do it on its own, if necessary. Indeed, some of those who once had high hopes for UW's Spokane medical school have been left disillusioned with UW's involvement: "It became clear to me during the planning phase that this was not going to be a medical school," says internist Jeremy Graham, with the Washington Alliance of Teaching Physicians, and a teacher for both UW and WSU. "It was going to be a distance-learning site from Seattle." In Spokane, the educational model has been different. Instead of lecturers, students are expected to know the material ahead of time — many watched the lectures in Seattle online — with practicing doctors serving as "clinical guides" to shepherd them through case studies. In other words, that city-transforming economic impact predicted in 2010 isn't happening. "What we've got right now is nine second-year students sitting in a classroom. Maybe sometimes they buy dinner at Taco Bell," says Graham. "That's not an economic impact on Spokane." This year, the number of students was even smaller: Only nine of the available 20 spots paid for by private donations from the Spokane community were filled. Evans, the former governor, interviewed most of the Spokane students who decided not to enroll a second year in Spokane and says some preferred Seattle because they wanted specialized teachers. "They said, if I'm taking neurology, I want a neurologist," Evans says. In August, Whitney Xu Pfleger was the very last student to hear that she'd been accepted to the UW School of Medicine. She was ecstatic. But a few days later came the second piece of news: Despite listing Seattle as her first choice, she was being sent to the WWAMI campus in Spokane. She'd only been married a month and a half, and her husband's job meant she had to leave him in Seattle. She loves the small class sizes of the Spokane program, loves the teaching, and loves the study spaces in the brand-new building. But the person she loves is in another city. She doubts she'll stay in Spokane another year. While many UW students say they've come to love Spokane, only about a quarter of the students who end up here for their first year listed it as their first choice. There's even a name for it: "Getting WWAMI'd." Cyrus Haselman chose Spokane for his second year of medical school, but says he understands why some of his peers picked Seattle: They're afraid of missing out. "That's where the mothership is," Haselman says. "That's where the research is happening, that's where all the fancy professors are that have got all those grants and are doing all this cool stuff." In the future, UW promises, Spokane will get more attention, more full-time faculty, and more research funding. "We're committed to the objective of getting research faculty in Spokane," says UW lobbyist Margaret Shepherd. Myra Hurt beams into a WSU Board of Regents meeting via teleconference, from a Florida State University conference room. 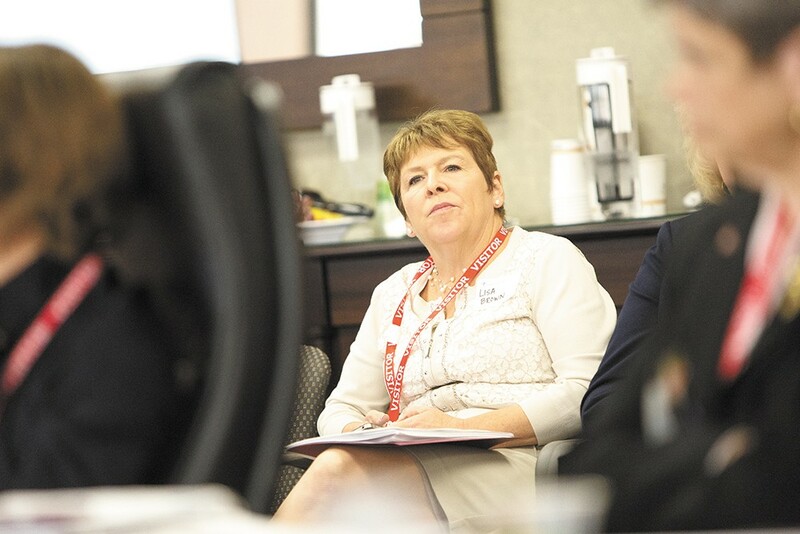 She was one of the major movers to bring Florida State University its own medical school 15 years ago, and she is one of the consultants who studied WSU's path to a medical school. "It's ridiculous when I think about a state like Mississippi or Alabama that has more schools than the state of Washington," she says. Florida State had a program similar to WWAMI — a partnership with the University of Florida. And like UW, the University of Florida fought to stop them from creating their own medical school. "I lived through the firestorm like this one. And it does blow through eventually," she says. "Some of the people who fought the hardest [now] work for us. They're on our faculty." Most of their graduates, she says, go into primary care and stay in-state. Twenty percent are practicing in rural communities, better than the national average. WSU wants to copy Florida State's community-based education model, with students training in rural community clinics instead of a big research hospital. That, Hurt believes, is key to attracting more students to underserved parts of the country. But UW practically invented the community-based model, the university argues, sending students to remote regions for rotating clerkships. In fact, when Florida State launched its medical school, UW Regent Orin Smith points out, UW's program was an inspiration. "The model the consultants have proposed for WSU, and the one they've claimed is so cost-efficient and so forward-looking, is exactly the model that has been used for 40 years at UW," Smith says. UW is moving even further in that direction: Starting next year, UW med students will spend only 18 months in the traditional lecture format, with the other two and a half years spent in the clinics. "I think the WWAMI program is viewed by a lot as the model of what works," says Christiane Mitchell, of the Washington, D.C.-based Association of American Medical Colleges. "Exposing those students to a rural community shows them what it's like." But Hurt sees UW as clearly different from the vision of Florida State and WSU. "It's a [Johns] Hopkins, it's a Harvard, it's in that class," Hurt says about UW. "It's not a community school of medicine." Florida State recruits specifically in rural communities, whetting students' appetites for medical education as early as middle school. WSU wants to do the same. WSU wants their admissions process to favor not just test scores and acumen, but location: By intentionally admitting rural students, the hope is they'll be more likely to return to their hometown to practice. And there's one other advantage: WSU won't be competing with other hospital systems like Providence. UW owns four hospitals, nine clinics and its own medical transport services. "And that limits their ability to partner with those other institutions," WSU Regent Worthy says. In a meeting last week over reforming WWAMI at Avista headquarters, the tension boils over: UW Regent Orin Smith turns his chair to look at WSU Regent Mike Worthy across the long wooden conference table. He points out that the WSU study assumes resources currently being used for WWAMI would go to WSU's medical school, and rattles off a long list of logistical problems with running two programs with the same resources. "The feasibility study essentially defunds WWAMI," Smith says. "It also raises the question, Mike: Is the legislature going to fund two medical schools?" Even though the details haven't been worked out, Worthy doesn't see a problem: "The notion that WSU could not continue to be a WWAMI partner, I say, with all due respect, is ridiculous." He argues that the school could use other Riverpoint classrooms, cut programs, share faculty, and make other heroic efforts to ensure both programs could operate side by side. But until that third way is found, the community remains divided over WSU's new venture. 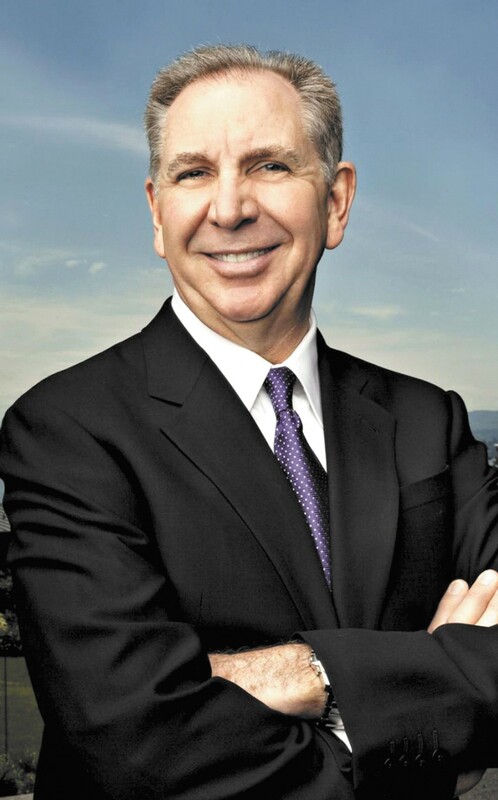 "Our objective from the get-go was to attract the University of Washington to come here with four years of medical education," says former banker Dave Clack, co-chair of the Friends of WWAMI and a longtime supporter of the Riverpoint Campus. "They're here." 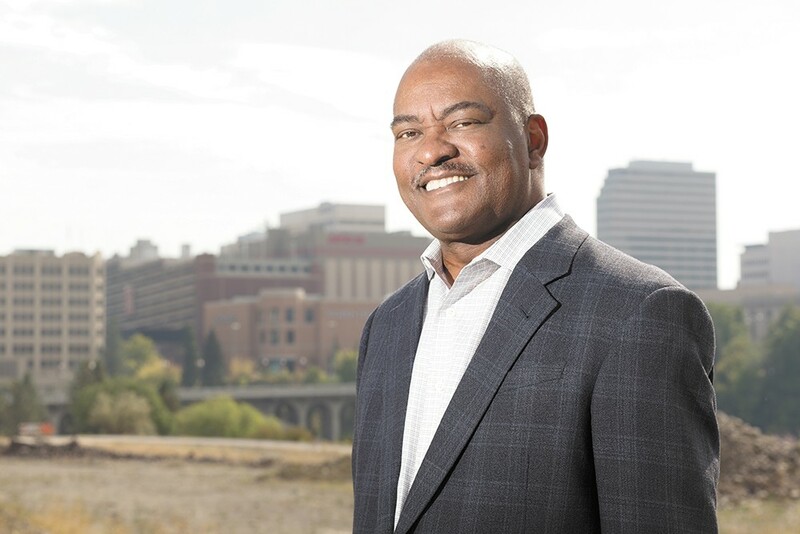 Michael Senske, current board chair for Greater Spokane Inc., also says the community should stick with the original plan, with UW taking the lead in Spokane, at least for the short term. "What I'd really hate to see is for the community to turn their back on the University of Washington and WWAMI, and have WSU not fully realize their vision," says Senske. "We want to make sure that Spokane really has a say here, and we're not caught between two warring educational institutions." But to Rich Hadley, former president of GSI, it's obvious which university has invested more in Spokane. "WSU has been our partner from Day One. UW was always who we had to pull along," says Hadley. That's echoed by Antony Chiang, president of the Empire Health Foundation, the biggest donor to the two-year medical school pilot program. He says UW hasn't taken advantage of opportunities to bring more research to Spokane. "Out of 500 million [research] dollars that came to the state [three years ago], $17 million went outside of King County," Chiang says. "Less than a rounding error." He believes both UW and WSU should expand medical education in Spokane. That desire is echoed by Providence. "We don't consider it a question of either/or but rather both/and," says Couture, the regional chief executive. Both universities plan to ask Olympia to expand medical education. UW wants about $10 million to increase enrollment in Spokane. WSU's initial request will be more modest: $2.5 million to help pay for planning and accreditation. "I think the real risk is the legislature doesn't have any money to begin with," says UW's Smith. "I am confident that there are not legislators who are going to relish this discussion." The state faces a budget deficit in the billions. On July 9, in a conference room in the Sheraton Hotel in Seattle, and again on Aug. 4 at Spokane's Davenport Hotel, some of the most powerful men in the state sat down for closed-door negotiations. Avista CEO Scott Morris and former Providence CEO Mike Wilson, representing the goals of GSI, met with UW President Young and Regent Smith, and WSU President Floyd and Regent Worthy. "I don't have a purple hat or a crimson hat, I'm wearing a Spokane hat that has 120 medical students in Spokane," Morris says. "That's been my agenda." In those meetings, UW expressed a willingness to compromise, including giving WSU more control over hiring faculty and admissions. But WSU stuck by its plan to seek its own accredited medical school.